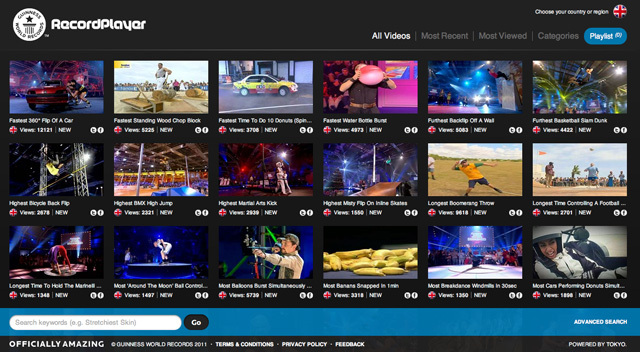 A range of the best record attempts and crazy feats from the hit TV show and coffee table classic, Guinness World Records, are now available as part of an action packed Google Chrome application. The app, called Guinness World Records – Record Player, is actually more of a channel, which features some of the best and most thrilling record breaking activities. You can select specific categories and view various feats from all around the globe, from the most balloons inflated by the nose in Italy to the furthest back flip off a wall in the UK. The app has been built primarily in HTML5, which means it’s rather slick and intuitive and ensures all of the stunts, feats and jumps look as good as they possibly can. We can’t be blamed for how much time you spend on the app this afternoon, watching all of the weird and wonderful attempts can get a little addictive. Download the Guinness World Records – Record Player app from the Chrome Web Store. Is Ferguson Hill&apos;s FHOO9 the sexiest home theatre system you&apos;ve EVER seen?